“How much space do you need to be happy?” For some reason, along our evolution we have come to the conclusion that “bigger is better” and that a big house is the ‘dream’. But we haven’t realised that this Dream for a house with a large space has become a struggle of years of debt and environmental and financial repercussions. 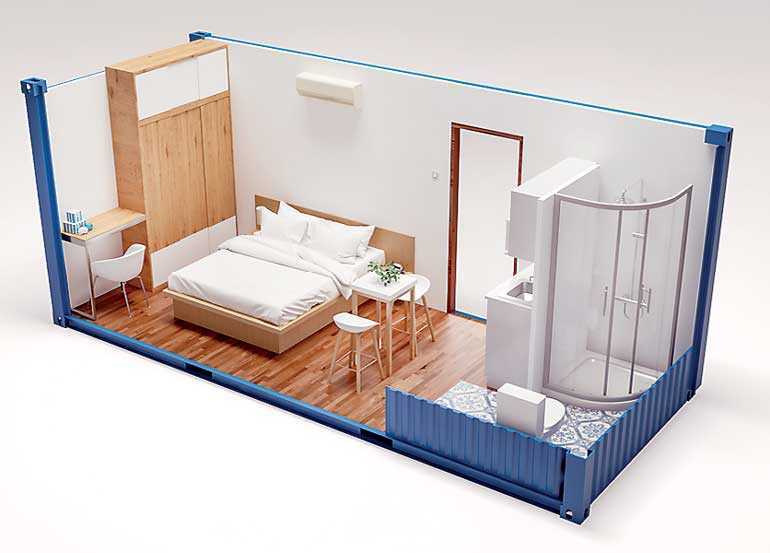 Landmark Group, Sri Lanka’s new property developer with innovative concepts and ideas for modern homes, has introduced its latest innovative solution to this struggle with the launch of BOX IT recycled shipping container living space. 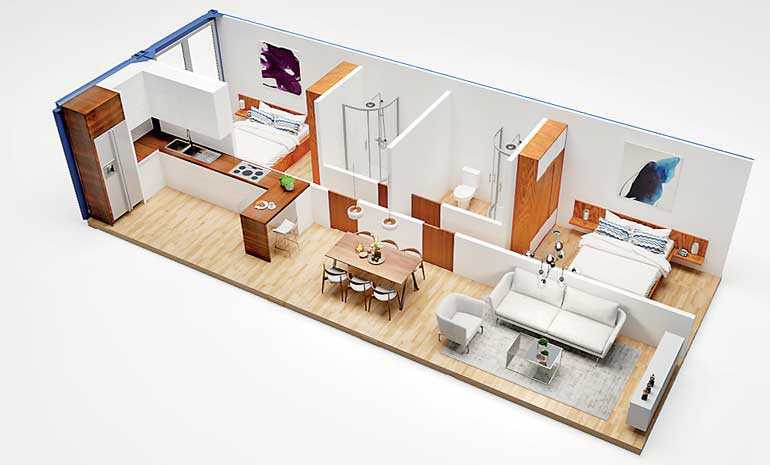 The concept is aimed at offering housing based on client desires rather than market expectations. BOX-IT recycles 20-foot and 40-foot shipping containers and gives them a new lease of life by turning them into beautiful, fully functioning, modern living and working spaces condensed down to 18-20 sq meters. They are environmentally-sustainable, as shipping containers are used globally with thousands of them removed from circulation annually. All BOX IT units are conceptualised and designed by Landmark’s in-house design team based on the requirements of the client. The team uses the latest construction and design technologies to create innovative spaces that are built to exacting standards in order to ensure safety, structural integrity and aesthetic appeal. 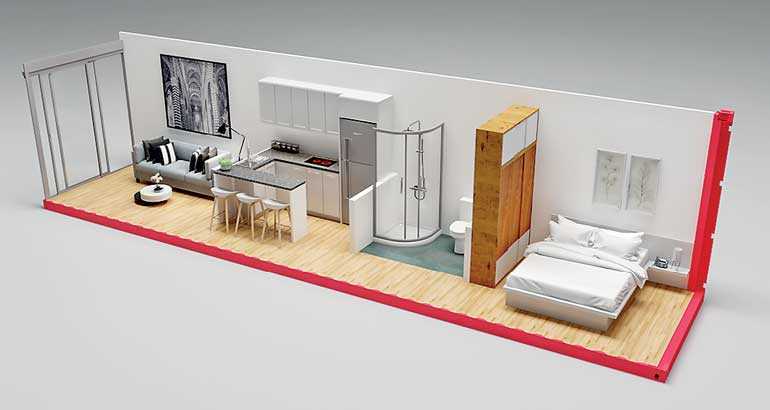 The concept provides clients greater freedom in creating living and work spaces of their preference. BOX IT solutions are ideally-suited for a wide range of spaces including homes, offices, restaurants, cafes, villas, chalets, site offices, labs, workshops and showrooms. Product is more affordable, transportable, and more environmental friendly. Among its many advantages, the most significant feature of the concept is, that these houses create the essence of a home, while costing much less than a normal house. With this concept, a wide array of options can be opened up in Sri Lanka, to solve some of the most crucial issues in Sri Lanka. Movable small modular houses for disaster relief housing, communities that want to be off grid or live in more remote properties, or to provide the perfect abode for aging population. Our traditional models don’t fit the lifestyles and arrangements of ageing population and how small dwellings could be used either in property of children, even in the back of their own property. So they can rent or sell large house, and still stay in their own community. In addition, millennials has transformed into a generation of passionate travellers. So for such a generation who values experiences rather than solid buildings, this arrangement is perfect. On the other hand, with every brick we lay to build a larger house, we worsen our ecological footprint. A larger house leads to over-consumption of everything including electricity, water and fuel which we consume from nature. One complaint of the today’s generation is failing relationships. Spatial separation and the financial burdens create stress which eventually flows down to effect the personal relationships. With BOX-IT the customers can create private spaces, but maintain more intimate relationships and communicate to share more life with loved one and carry less stress in life. Housing is a reflection of who we are and what we value as a society. So it’s high time to dismiss our pre conceptions about our home and reflect on what we really want from our home and our lifestyles. It’s difficult to tag a price on lifestyle. But life, love, freedom and connection with family is definitely worth more than extra bedrooms. Therefore Box-IT offers a solution to simplify life and create joy with a true dream of a home.